Instagram is a platform that allows you to share pictures on the internet. The photo-sharing app converts your photos into a square format that can be modified by the use of inbuilt filters to enhance your photos. It is a simple app that doesn’t require a scientist to figure out how it works and since it is a free platform, it allows you to post as many pictures as you wish. You can choose to share your photos with an audience of your choice or make it a public audience. Your audience or followers can interact with you by liking your posts by simply double-tapping on the picture, and they can comment or share them too, depending on your preference of privacy settings. You can also follow other accounts and do the same based on your motives and interests. 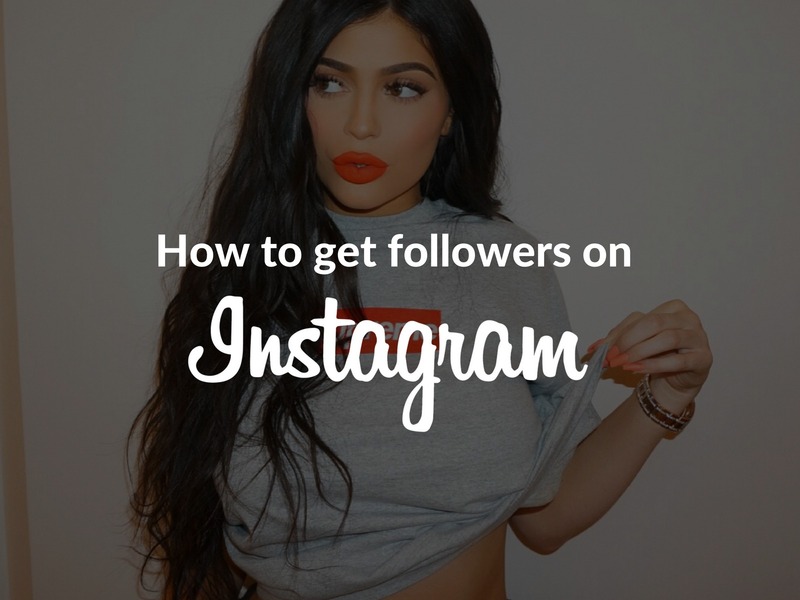 Since the relevance of your Instagram account relies on the number of followers, it becomes vital for users to accumulate as many followers as they can. Whether it is to grow a business, promote brands, influence the audience or build a market or for personal fame and popularity, most Instagram accounts get more followers by the quantity rather than the quality. So users have to strategise their Instagram account to get real active and engage followers. Not all have been fortunate enough to be born famous or have achieved fame later on in life as some celebrities or eminent personalities; their already existing status quo of fame assures them a massive following on Instagram or any other social media outlet. It is a known fact that images that have hashtags always perform better than those without them. So you can use relevant hashtags and as many as you want when you post a picture. Hashtags are like lottery tickets, the more you use them, the more chances of your finding more audience and exposing your account to potential followers. For example, if you post a black and white portrait and use #blackandwhite, #portrait #photography, your image will automatically be featured in the search results of the related hashtags. But this isn’t enough if you really want to use the real power of hashtags to grow your Instagram account. The hashtags you use should have at least 20,000 public posts on them but not over 50,000 because when you use a hashtag that is too popular, your Instagram post will immediately be drowned down by other posts. Look for a feature account that features public posts and credit creators. Tag those accounts or use the specified hashtags they provide to get yourself noticed and up your chances of being featured or gain followers from those related followers. The best tip is to search for hashtags on a website called Display Purposes to generate hashtags for your posts. This website will produce the most trending hashtags around the topic of your post which you can copy and paste on the caption of your image. You can also have a ready set of hashtags saved on your phone notepad that you can easily access and paste. Instead of placing the hashtag in the caption of your image, put them on the first comment section below to keep a clean feed. Once you have posted your photo with the hashtags, the goal is to get as many engagements as fast as possible. The first hour of posting is the most crucial because the algorithm of Instagram will determine if the post is worth sharing or not, depending on how much engagement it has. If your post has more active and engaged viewers, the higher your chances of being featured in on the top nine cover photos that lead to the hashtags which means that your photo will get more exposure and find you more potential followers. In order to not loose momentum and get engagement fast, you can use engagement groups. 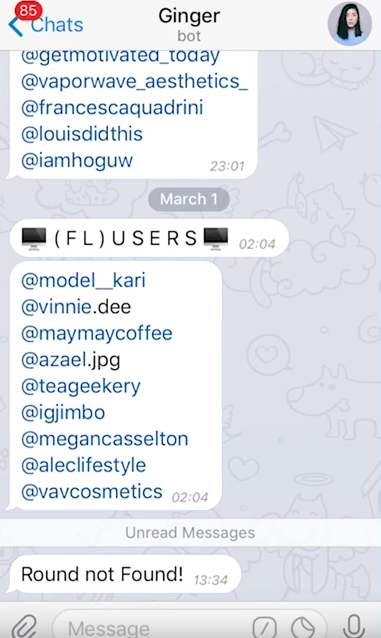 They are usually Telegram groups that you use to connect to other Instagram marketers. When you have a new post, you just mention it in your group and other people will start liking and commenting on it. Don’t forget that they will ask you to do the same, or else you might get kicked. Read more about engagement groups and where to find them here. Another way to get more followers is by making use of the geo-tagging feature on your account. By geo-tagging the right location, you will gain more interests from your audience, and your post will also be featured in those places when someone clicks on them, exposing your posts to various locations will generate more engagement and followers. Be active and engage with the community by liking and commenting on other people’s posts. Give genuine compliments and ask questions. Mundane comments like “nice pic” or “great shot” will usually be replied only with a “liked comment”. Your comments should call for an engagement or call for action so that these accounts will be curious and grateful to follow you back. You can also automate your engagement with people with tools. For this you will need proxies and a VPS, but it is a very effective way to make your Instagram accounts grow while you sleep! This video shows how to grow Instagram accounts using a tool we recommend called Jarvee. Try to stick to a theme and find an aesthetic that suits your niche and post only those photos that are relevant to your niche or subject. The more consistent your overall feed looks and the more consistent you are with your posts, the clearer your audience will be about their reason for following you. If your audience like food posts, they would immediately refer to your account and precisely find what they expect. You will also gain a whole community of followers with the same interest. 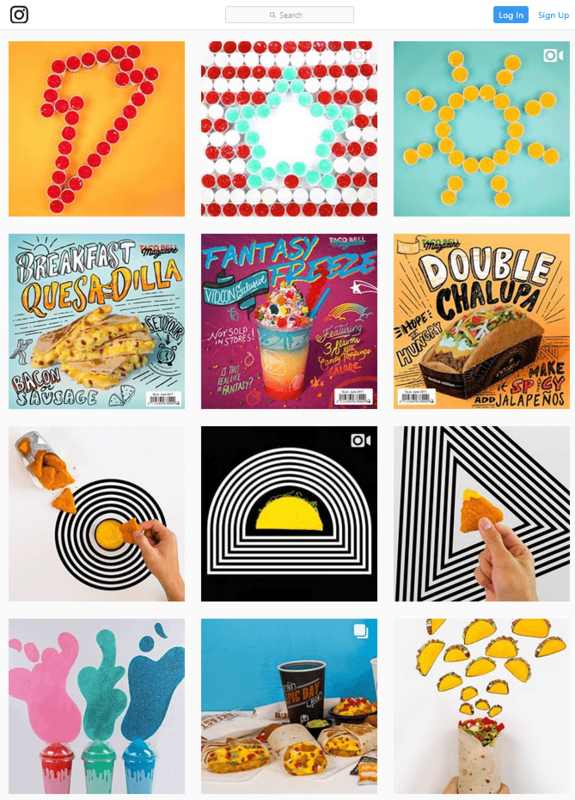 If you have multiple subjects and would like to share them all, sticking to an aesthetic feed can be challenging. For this, you can create a separate account to interact with your friends and family and cross-link them which would also benefit your primary account to generate followers of different interests as well. If keeping multiple accounts for your different subjects is challenging, you can also merge them and stick to a uniformed filter that is pre-set in your phone or by using a third-party photo editor such as VSCO, PicsArt and Cymera. You can also keep your audience engaged by thrilling them with your creative outlook, theme selection and unconventional angles that sheds new light on ordinary things or stick to facts and no-filter pictures. Whatever you do, be consistent but never mundane. If you use other platforms such as Tumblr, Facebook, LinkedIn or Twitter, promote your Instagram account by linking them through your posts. By merging the different audience from other platforms with your Instagram account, you stand to gain more real followers who are active and more engaged. If you want to automate your cross-platform posting, we really recommend using IFTTT (If This Then That). From there, you can make all your different social media accounts post automatically the moment you post new content on Instagram. This is a really sweet function, but it needs a little setup. 9. Follow people in your niche or category. Whether you have chosen travel, books or food as your niche, trying to support only those accounts in the same slot can be another challenge if you have multiple interests. However, the advantage is being in the same niche along with the already established account which can boost your number of followers. Instagram will automatically suggest your posts or profile to those people searching for your choice of niche, and your account will also be listed in the recommended list when they follow an account with the same slot. One way to make your followers grow is by interacting with them. Since Instagram is a photo sharing app, interactions are much lesser than other platforms such as YouTube or Facebook. By initiating conversations, asking questions and replying to comments, you keep the followers engaged. You can also provide incentives such as a DM, a shoutout or even organise mini contests. What time of the day you post your photos can generate or minimise your followers. The best time to post is when your audience is most active, which can be early morning or around 9 pm. You can generate analytics of your audience activity by using a third-party app. These Instagram analytic apps can be downloaded for free or purchased on your mobile app stores. They create statistics and accurately suggest the perfect time to post your photos, getting you more exposure and increase your followers. Also, if you switch your account to a business profile, you will get some insights about your followers, but it’s not that detailed to be honest. If you are vying to be an Instagram star or getting that blue tick certifying legitimacy, get the core concept sorted out pronto! Finding out what works in your favour or even the opposite of that (humour sells after all) offers any budding Instagram star to let the world see and rack up a good number of “follow requests” on Instagram. Once the core concept has been laid out comfortably, ensure that the content of the post is appropriate and in tune with the identity that you project. Being relevant and attuned to what the people want to hear or view is an essential ingredient. Instagram is one of the most significant PR machinery, and the content that you put out there gets noticed based on the packaging. Core concept(s) being worked out, focus on the material, making sure that it does not mislead nor confuse existing followers who might start losing interest and the unfollow button becomes the next activity for their fingers thereby negating the potential of gaining more and new followers. Influencers are those individuals who have already built an enviable following on Instagram, and their visibility and engagement rate is very high. So for those looking for ways to grow his or her Instagram following could get in touch with these influencers and request them to give you a shout out or a mention of your username, a small introduction which will help is getting viewers notice thereby expanding the potential of your accounts visits and follow.